A removal service fit for a Lord! Taking on unusual removals jobs is all part of a day’s work at C.Wraight Removals Kent. As experienced and respected removals specialists, we liaise with a wide range of clients, including some of the UK’s most prestigious institutions. For example, we are fortunate to have the privilege of working regularly with English Heritage, which gives us the opportunity to visit some incredible locations and work with some distinguished people, including Admiral of the Fleet Michael Boyce. Lord Boyce is the current Lord Warden of the Cinque Ports, an honour that is bestowed by the Sovereign. Every year, Lord Boyce takes up residence at Walmer Castle to undertake ceremonial duties, and C Wraight is engaged to handle the delicate task of moving the Castle’s fragile historic items to make room for guests and dignitaries. We have worked at Walmer Castle for many years now, and as a result, we know every inch of the Castle corridors and every item that has to be moved. Before our specialist staff can begin work, they don white gloves in order to protect all of the items we handle from coming into contact with any oils that may be on their hands. The job involves carefully removing the ornate furniture and delicate rugs from the main dining room and sitting room at the Castle. All of these items are of historic importance and have to be handled with the utmost care and professionalism. We then replace them with furniture that can be used by guests without fear of any damage. The project is completed over the course of a weekend, during which time we have the pleasure of meeting the Lord Warden. He often enquires about the jobs that we have carried out over the course of the year and is always very complimentary on our work. There is a small team of dedicated staff at the Castle, and we work very closely with them over the weekend to ensure the success of the Lord Wardens visit. This is an amazing time to visit the Castle as the staff produce the most beautiful flower arrangements throughout the site, which prove very popular with the visitors on the following Monday. We are proud and privileged to have the chance to work within English Heritage. 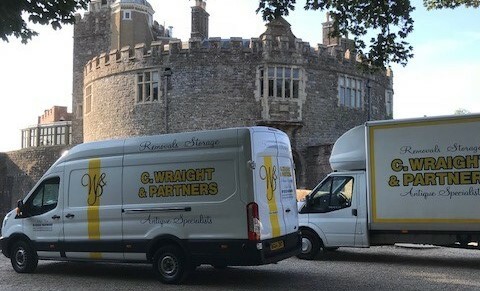 This has given us the opportunity to handle priceless, historical furniture and fine art removal in some of the grandest settings imaginable, but we apply the same professionalism, care and dedication when we handle any home or business move, large or small. 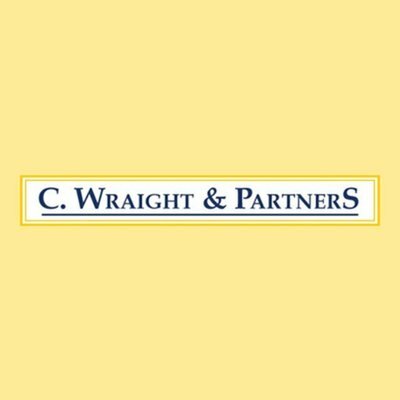 At C.Wraight, we aim to provide a high-quality London removals service and throughout the UK. All our staff are fully trained and experienced in every aspect of removals, and we have access to a varied fleet of vehicles and all the equipment necessary to handle any specialist removals job from antique removals to home moves. So if you’re planning a house removal or you have rare or antique items to be moved, get in touch with us and find out how we can ensure that your relocation is hassle-free.